Designed using Trelleborg Blue Tire Technology, the new TM1000 High Power is the perfect solution for sustainable farming. 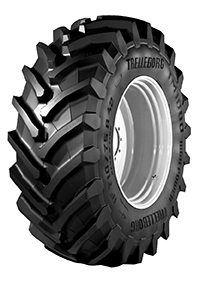 Designed using Trelleborg Blue Tire Technology, the new TM1000 High Power redefines standards within the agricultural industry. Constant and smooth torque transfer in the field, unbeatable traction in the furrow, low rolling resistance and a very long life on the road, come together to make TM1000 High Power the most efficient solution for Ultra High Powered tractors. The new casing, engineered with Blue Tire Technology, ensures premium farming productivity by providing an extra wide foot-print and low soil compaction. Developed to fully respect the environment, the TM1000 High Power Blue Tire is the perfect solution for sustainable farming.